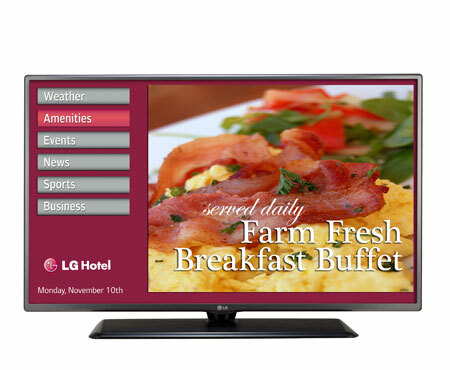 The 55″ LG LED Pro:Idiom with b-Lan LED HDTV (55LY570H) supports Pro:Idiom and b-Lan ready for hotel applications. This line supports remote diagnosis for faster repair time and less down time for hotel owners. Mobile High Definition Link instantly mirrors patron’s smart devices for unparalleled integration.